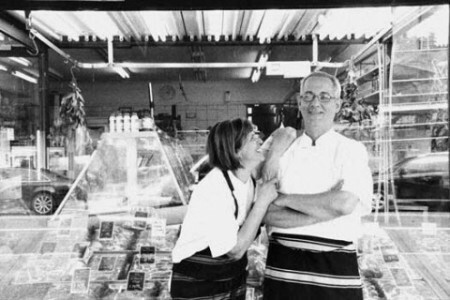 Dulwich Hill Gourmet Meats has been in the Papanicolaou family since 1984, but the family’s history in the meat trade goes back much further. 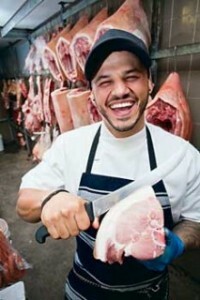 George Papanicolaou comes from a long line of butchers from the Greek island of Rhodes. As a kid he used to hear stories of how his grandfather would travel by boat to neighbouring islands to pick up sheep, cows and goats, which he’d ferry back to Rhodes. George and his Cypriot-born wife Yiota have built a reputation for expertly pairing their innate creativity with premium produce, resulting in an award-winning range of products including traditional and modern charcuterie, fresh gourmet sausages and a line of smoked products like nitrate-free bacon and smoked salmon.